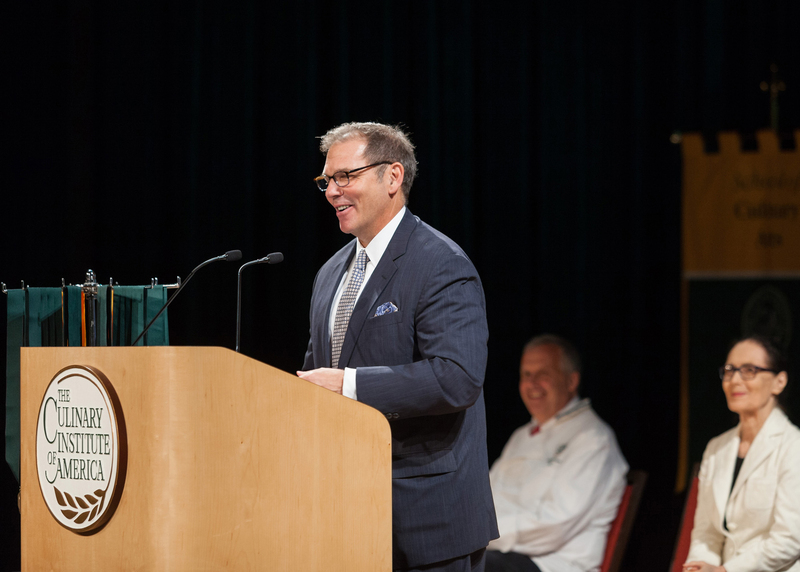 Hyde Park, NY – In a pair of commencement ceremonies at the New York campus of The Culinary Institute of America, 163 new graduates launched their careers in the exciting food business. Philip Colicchio, whose consulting firm represents chefs and other culinary professionals, was keynote speaker at the associate degree graduation on July 27. 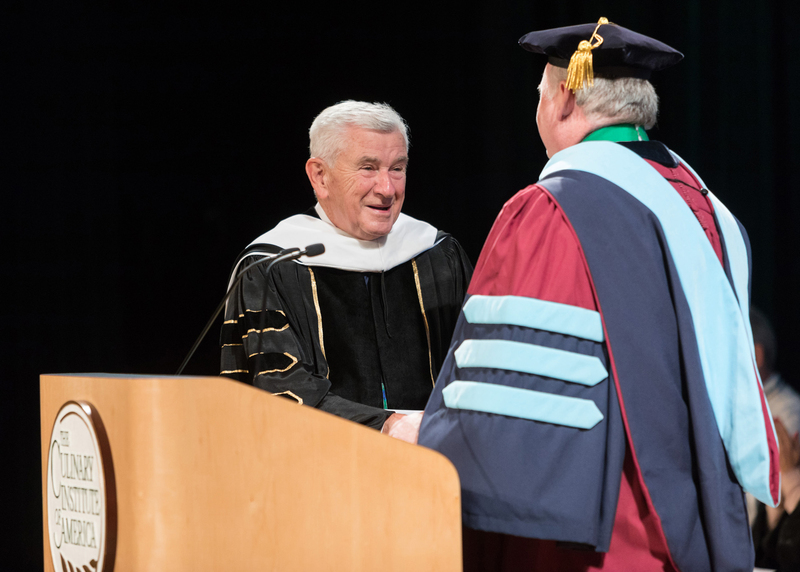 The previous day, Robert Bennett, chairman of the Statler Foundation, addressed bachelor’s degree graduates. An attorney, Mr. Colicchio co-founded Taylor Colicchio LLP to provide professional and legal advice to chefs around the world. He was a pioneer in representing the interests of chefs in the age of chefs-as-celebrities. Dozens of his clients—chefs, restaurateurs, authors, beverage and service professionals, and restaurant designers—have won James Beard Foundation Awards. “You will succeed because you have the finest culinary education in the world under your belt and because you have chosen to serve,” Mr. Colicchio told 47 graduates receiving degrees in Culinary Arts and Baking & Pastry Arts. Mr. Colicchio is the cousin of renowned chef and media personality Tom Colicchio. He often serves as a judge for the student “pitch-off” as part of a CIA’s bachelor’s degree concentration focused on business innovation, and advises students regarding their restaurant concept ideas. The winning concept from each pitch-off becomes an offering at the CIA’s student dining facility for a semester. On July 26, some 116 graduates receiving diplomas in Food Business Management, Culinary Science, and Applied Food Studies heard from Mr. Bennett. The Statler Foundation, which he heads, has been a supporter of the CIA and its students since 1958. A native of Western New York, Mr. Bennett is a former president and CEO of the United Way of Buffalo and Erie County and chancellor emeritus of the New York State Board of Regents. He has been honored as Citizen of the Year by both The Buffalo News and the Food Bank of Western New York, just two of the many accolades and awards Mr. Bennett has received throughout his career. The full associate and bachelor’s degree ceremonies are archived at LiveStream.com and can be viewed online. Due to its rolling enrollment schedule, the CIA’s New York campus holds 16 associate and three bachelor’s degree graduations each year.